I adopted minimalist fashion in October of last year and completed three months on 24th of January. I think this is a good time to share my first experiences of the past three months. If you have been reading my blog, you will know why I embarked on this journey to adopt minimalism and subsequently ethical and sustainable fashion. Three months do not seem that long when we look at it from the perspective of our whole lives. Yet, I had expected that recovering from my compulsive shopping habit would be challenging and painful. Going in, I was, of course, apprehensive and unsure about how I would stick to my goals. I will not say that I was never tempted to buy just the one thing that looked oh so adorable and was such a good deal. However, committing to a clear path right at the outset helped me a lot. Living intentionally with a smaller wardrobe than I was accustomed to, gave me a lot of insights on what I liked and disliked wearing. I am one of those people who hates repeating clothes too frequently. I will usually go three to four weeks before repeating a top or dress or skirt. The exceptions are jeans, trousers, shoes and jackets which I keep a small collection and rotate frequently. It is no surprise, then, that I expected a small wardrobe to be limiting. One of my main challenges with the 10x10 micro-capsule was that I had to repeat the same clothes in a very short period of time. However, minimalism does not constrain you with a fixed number of clothing pieces. The idea is to arrive at your own understanding of what is enough and there is room to make adjustments depending on your lifestyle. I worked with a smaller wardrobe after I purged all the excesses which I anyway disliked wearing. My wardrobe consisted of about seventy-five to eighty pieces that I was happy to wear on any given day. Nor did I have to repeat my clothes much more often than I found comfortable. Working with a small wardrobe means that space in your closet becomes prime real estate. The purge made me think carefully about what I wanted to keep and discard. Some of the clothes I discarded were questionable purchases, to begin with. This made me really deep dive into what I like and dislike wearing. Read about how to decode your personal style here. I took a style quiz, uncovered patterns in my wardrobe and decoded my personal style. Now I have a few thumb rules that every clothing piece must tick before it enters my wardrobe. A clearly defined personal style helps to avoid the misfires and impulse purchases. I know what I like and will be happy to wear regularly. If a garment does not tick those boxes, there is no point in buying it. 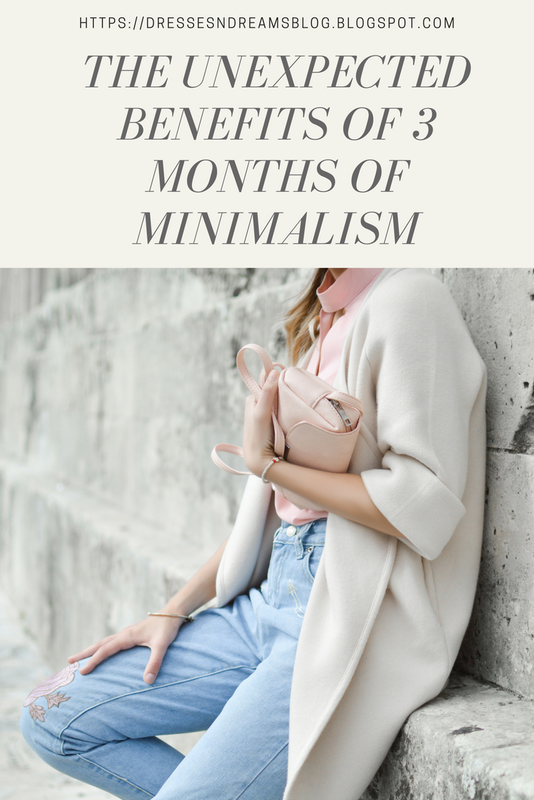 When I was reading and researching about minimalism, I found a lot of blog posts that talked about how minimalism helped in living a more fulfilled life. I did not believe it. I expected minimalism to work on my wardrobe but not much more. I am not the kind of person who gets drawn into the rhetorics of so-called enlightened souls. Maybe it comes from being a researcher, but I approach things logically. Breaking down statements to their bare bones and seeing if they pass the muster. At the beginning, minimalism, extended only to my fashion choices. I didn't expect it to impact any other aspect of my life. Truthfully, minimalism cannot solve all the problems, concerns or challenges I face. Nor do I expect it to do so. However, there is a sort of domino effect, when the stress from one aspect of my life was negated, I had more time to focus on other aspects. Since I no longer resorted to shopping out of boredom, I chose to engage in other activities. I am not saying that minimalism turned my life around completely because it didn't. It did, however, have a positive impact that went beyond just my wardrobe choices. It is unbelievable what will happen when you stop shopping pointlessly for a few months. I never fully realised the cumulative impact of the random purchases I made, on my savings and bank balance. I didn't usually shop in one go. I am not one of those people who brings a large haul at the end of a shopping trip, whether it is online or in-store. There were small purchases sprinkled across various days. It reduced my guilt because I never saw obscene amounts displayed on the receipt at the checkout point. Nor did I ever gauge the full impact of how much I was spending on my purchases. At the end of three months, I am happy to see a healthier balance in my savings account, than I have seen in the recent past. Minimalism made me think about my fashion choices more intentionally. I would visit stores and buy clothes at unbelievably low prices and think it was a win for me. 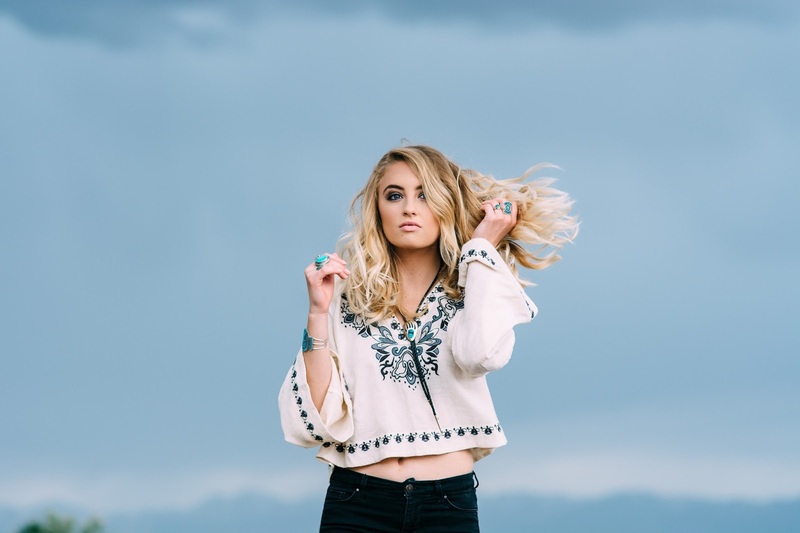 I did not delve deeper into the reasons how my fashion pieces were being sold at rock bottom prices or why they became unwearable after a few washes. I came upon the slow fashion movement while researching minimalism and it really made me sit up and think about the impact of my lifestyle on the planet. I like to reduce my carbon footprint where possible like conserving water, not printing paper unless necessary, switching off the car engine at signals. Read about the slow fashion movement here. I may not be a full-fledged environmentalist, but I believe in doing what I can to preserve the planet. Reading about the pollution generated by the fashion industry came as a shock to me. I am thankful that adopting minimalism gave me a window to information of which I had previously been ignorant. Similarly, I do not have to be a human rights activist to care about the lives of factory workers who manufacture fast fashion goods in sweatshops. I read this meme on the Instagram account of Style.Sustain and I think it is apt. "I love fashion but no one should suffer so that I can wear nice clothes." Sustainability and ethics are important causes and awareness is the first step. Now I work hard in creating this awareness through my blog and social media accounts. Minimalism may have started as an experiment for me but I clearly see the value of living with less. I am committed to this lifestyle and hope to continue living this way for as long as possible. Have you ever considered going minimal? Why or why not? Let me know in the comments section below. Don't forget to follow me on my social media. Links are in the side panel.